We hope that you’re doing well and enjoying beautiful spring weather! 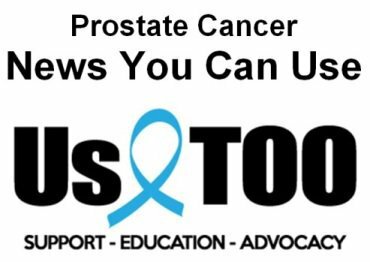 In addition to the following updates and information that may be of interest to you, article titles for PROSTATE CANCER NEWS YOU CAN USE are listed below along with a link to the Us TOO web page that provides access to the full text for each article. WE’RE HIRING! We’re expanding the team at Us TOO and looking to hire a full-time Director of Development . Please CLICK HERE for more information; and pass along this career opportunity to potential candidates. If you haven’t already done so, check out recorded video from recent Us TOO Pathways educational events . We extend our thanks to Pathways presenters, corporate sponsors, support group leaders, and all who attended in person and online through the live webcast. Stay tuned for details on the 2019 Pathways events! Prostate cancer support groups provide a valuable opportunity to connect with others for education, support and perspective on managing every aspect of the disease – from testing to active surveillance, treatment options and side effect management. Us TOO has a network of more than 200 support groups in the U.S. and abroad. We thank all of the support group leaders who volunteer their time and leadership to provide this peer-to-peer forum for men diagnosed with prostate cancer and their loved ones. We encourage those who are interested to find an Us TOO support group near you . New clinical data analysis shows survival benefit three years after treatment with Sipuleucel-T. Data presented at 2019 ASCO Genitourinary Cancers Symposium underscore an even greater survival benefit for African-American men treated with immunotherapy; read press release . Take care, enjoy the extra sunshine and warmer temperatures, and watch for the May 2019 issue of the Us TOO Hot SHEET newsletter coming soon. Let us know how we can help provide you with educational resources, support services and personal connections to others in the prostate cancer community.